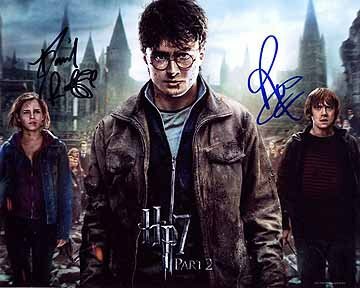 Well, it’s been seven years since the last Harry Potter movie in 2011. Are you still feeling the loss? Do you still mourn that Harry isn’t around in your life any longer? It’s O.K. we have all felt like that over the last six years in varying degrees. Even ‘Pottermore’ suggests you should move on by now if you’ve seen the movies and read the books. They even give 7 tips on how to do so! It’s not that there hasn’t been more material from J.K. Rowling, it’s just that we miss Harry and his cohorts. Indeed, there’s been: Fantastic beasts and Where to find Them; The Cursed Child; Pottermore itself and even a book club to interact with like-minded Potterphiles! I know, I know! You just wish old J.K. would crank out another Potter book but I think that creates some risk of spoiling what has gone before. Not that I think she might have ‘gone to the well once too often’, so to speak. It’s just that I think you should leave off when the going is good. I mean, it finished on such a good and satisfying note that to keep stretching it out might just tarnish the original series. Just an opinion, who knows really? Anyway, I like to think of the books and movies as old friends I can visit every so often. Yes, I know what they’re going to ‘say’ but that often comforting. There’s so much wisdom to learn from too and apply in our own lives. I think I’ll be going back again and again probably until I ‘shuffle off this mortal coil’, at the very least! How about you? Why this name for a Harry potter website? So why is this site called The Eldest Wand? Well, it's an obvious play on words with The Elder Wand of course but my point is it doesn't matter how young or old you are, we can all enjoy something as great as the Harry Potter series. I was in fact slow to come to the books. In my day job of primary (elementary) teacher I resisted the urge and the urgings of my students to read the Potter series in class. But once I relented I knew almost immediately it was futile to resist any longer. Like many people all over the world, children of ALL ages if you will, children from 9 to 90, I could resist no longer. It was like the irresistible power of Lord Voldemort was smothering my senses... "You have no idea what he was like even then" (Horace Slughorn to Harry). But seriously, it was something beyond the drama, something beyond the entertainment, something even beyond the great writing with its unending creativity, surprise, narrative mis-direction and humor. Here was, I sensed, a great moral tale of our time. A way to guide generations towards the "light" and the "road less traveled", as it were. I hope that doesn't sound too highbrow but I am in, I think, a unique position where I can see the influence on the young generation, their thoughts and dreams and hopes and fears. Being in daily contact with children and seeing how they were/are affected by the whole Potter phenomenon, it really does have an incredible affect on their lives on many levels, overt and subtle. It has "seeped" into the consciousness of millions and in doing so, as far as I can tell, given people hope, faith and confidence in their daily lives. This has had a profound effect on me too. So much so, I can't let it go and neither should you! I invite you, dear reader, to join with me and keep the world of Harry Potter alive for generations to come. I hope I can bring some perspective and highlight the life lessons contained in Harry Potter. But, of course, no one person has an "all-knowing" perspective. That's where you, dear reader, come into the picture. I want this site to be a collaborative effort of like-minded people in the discussion, study, celebration and fun in all things Potter. I'll make available, where possible, the ability for you to contribute your opinion and insights on many pages. But don't forget, it's a CELEBRATION - NOT a site for juvenile irrelevant comment or humor. Yes, by all means show your sense of humor but do so in a way that both entertains, edifies and uplifts our community and we'll all be the better for the experience. So you can see what I think of J. K. Rowling. In my privileged position of classroom teacher I've seen how her work has both entranced and delighted children over the years. It is entertaining, insightful and thoroughly absorbing and stimulating. In my humble opinion, her writing is up there with C.S. Lewis and Roald Dahl in its ability to capture a child's imagination and leave them, vicariously, a much more rounded person. Harry Potter has all the elements of good narrative writing; orientation; complication and varied sequenced themes running throughout; plot; great character development; loss and redemption; resolution and much, much more! I mean, just think of Harry Potter, Hermione and Ron Weasley. They're such well developed characters who grow over the entire series. We'll get to all the other characters (and your responses!) on other pages.